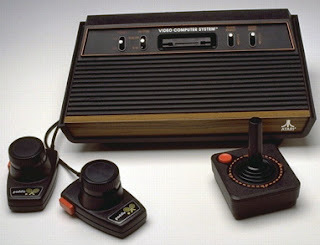 By today's standards, the Atari 2600 was a piece of crap, but in the 70s it was my piece of crap, I loved it, and it was the most amazing technological advance ever invented. The video game console celebrates its 30th anniversary this week, and I'm seriously thinking about dusting it off and throwing a party. Yes, folks, I still have my original 2600, and, goddman, it works! I also have a box of 30 games, including (reminisce with me now) Keystone Kapers, BurgerTime, Pitfall, and River Raid. Remember how primitive the graphics were? 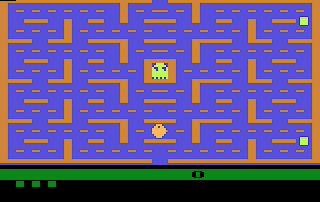 Remember how in Pac-Man they couldn't even make the dots that he was supposed to eat the slightest bit round? They were wafers! Ha!